Dave Gartenberg, chief HR officer at professional services firm Avanade whose career began in IT, anticipates a continued bifurcation of IT talent, with very technical resources on one end of the spectrum and "translators" that bridge the gap between the business and IT on the other. While the IT function has necessarily become more business-sensitive than it once was, some of the new IT titles, such as customer experience and workforce experience even sound business-like. "IT professionals have historically been order-takers, the geeky guys that light things up because they can," said Gartenberg. "The emerging roles are not like anything we've seen in the past because they require different muscles." Individuals who want to distinguish their careers need to understand the capabilities and limitations of various technologies, their company's business strategy, and how to apply technology to achieve a desired business result. "This whole move to customer experience and workplace, and issues around data and ethics were there 10 years ago, but no one was paying attention, so I think certain trends will continue to become more prominent," said Gartenberg. "I think we're going to see the IT function continue to be a much more critical driver of not just efficiency but achieving competitive advantage and strategy." The newer IT roles require soft skills, in addition to technological aptitude, such as the ability to interact well with others throughout the organization and the ability to manage change. "Organizational effectiveness skills, persuasion and influence are becoming way more important now for key IT professionals," said Gartenberg. "Those are becoming a must-have rather than a nice-to-have." Titles that sound the same often differ. For example, in some organizations the CTO role is tactical, and in other organizations it's strategic. 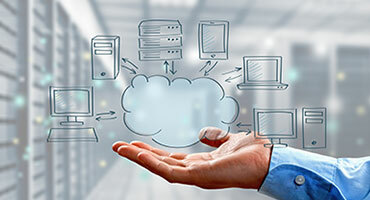 To provide greater consistency, at least among some IT titles, digital training solution provider Cloud Academy maintains a real time, data-driven "Cloud Roster" that defines eight IT roles including the knowledge, skills and experience required for those positions. Specifically, the eight roles, some of which are not new, include cloud architect, security engineer, DevOps engineer, data engineer, full-stack engineer, QA engineer, network architect and digital skills officer. IT professionals can use the information to plan their next move. HR departments and hiring managers also benefit from the objective criteria. In addition, businesses can take advantage of training, skill assessment and a hands-on lab, among other things. And, because context is important, organizations can customize training to ensure that technical knowledge is understood within the specific context of a role. "A lot of times these organizations aren't even Agile yet. 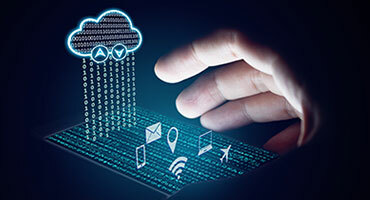 They're working in waterfall and they're looking for some basic training to get them over the hump in connection with this cultural shift that's needed," said Alex Brower, VP of marketing at Cloud Academy. In fact, change is happening so rapidly, that Cloud Academy recommends redefining the skill sets associated with each role every six to 12 months and supporting that with structured training that's tied to business milestones. The hands-on lab assessments verify a practitioner's skills. One of the more interesting new roles Cloud Academy defines is the digital skills officer. Essentially, it's an HR function within the IT department, meaning a technologically-savvy person who understands how technology trends could impact their organization and the roles that would be necessary to bridge the present and future state as well as the training that would be required. 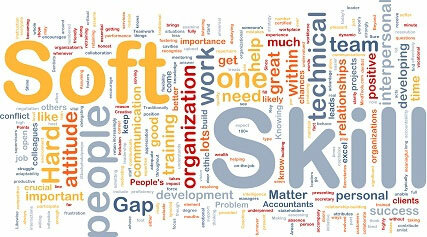 "Traditionally, learning and development have been HR's responsibilities," said Brower. "[However,] over the past two years, the velocity and variety of change has required IT organizations to take it into their own hands and appoint someone effectively to this role." "IT professionals need to reinvent themselves every four years," said Brower. "It's a constant state of learning. For an individual, it's important not to just learn Ruby on Rails because it's the first thing you came across, but how you invest your precious spare time." CarGurus once had a team of full stack engineers, but as the company has grown, its hiring pattern has changed. For example, DevOps and site reliability engineers may not be required to possess the same depth of knowledge that was once required given the broad availability of low-code and no-code tools. "At companies I worked in at the past, you were a DBA, middle tier, or front-end UI engineer," said Kyle Lomelli, CTO of automotive research and shopping website CarGurus. "Somebody who can work on the backend, middle tier and front end will accomplish more than someone who has a deep understanding of UI or databases. The tooling empowers a person to do more with a broader skill set." By comparison, AI requires a deeper level of expertise, including at CarGurus at least for now because the tools are less mature than software development and delivery tools. However, some low-code and no-code AI platforms and tools are already available. 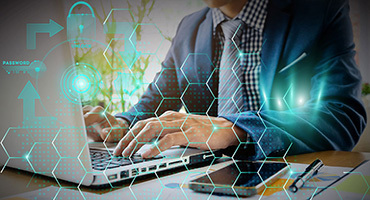 Despite the increasingly business-like nature of IT, traditional IT roles will continue to be necessary to keep systems up and running and ensure that new technologies won't adversely affect what exists. Somewhere between highly specialized talent and generalized talent is "the right" mix for your company and a compelling position you may not have considered previously. Don't take your eye off the ball, though, because what's right today may not be right tomorrow.